Michael Raggett, Managing Director, Raggett Homes, talks to CAROL TALLON about the challenges of returning to development after a decade off-site. At the height of the market, Raggett Homes was one of the largest house builders in the South East Region. Between 2008 and this year the company, like the majority of homebuilders outside the Greater Dublin region, has not opened any new sites. 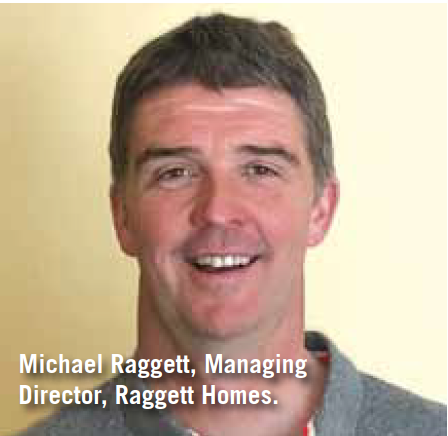 However, Michael Raggett, Managing Director, Raggett Homes, is optimistic, but cautious about what lies ahead. Discussing recovery in the housebuilding sector in the South East, he explains that the market is moving closer to a level of viability in some areas, but not all. 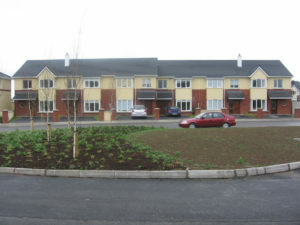 “For instance, we have a site in Athy, Co Kildare that is not at a stage of viability yet. Houses are selling at about €50,000 below cost. There is demand, particularly for starter homes, but it is challenging to make it work. “In Kilkenny, we are looking at the upper end of the market, where families are trading up. In the starter home niche, new three-bedroom houses in Kilkenny need to achieve a minimum of €230,000, but that has to be tested yet. In the trading-up niche, houses can make €500,000 to €600,000. Demand in this niche is in small pockets but seems consistent due to years of pent-up demand. Families have outgrown their three and even four-bedroom semis, have paid down their mortgages, moved on in their careers and now have the financial capacity to trade up.” He says that up to recently, only two sites had been developed in Kilkenny over the past decade, one with nine houses and one with four. He says the improving economy is lifting the sector and the lack of supply is driving up prices close to the level needed to be able to build again. Dublin. “We recently acquired a small site in Kilkenny. We have received permission for seven four-bed homes, and we’ll start on this in the coming months. We have not been active on any of our sites since 2008. Later this year, we plan to go back to a part-finished site in Athy for the first time since 2008. It was for a scheme of 70 houses. We originally built 26 units. Of those, 10 were sold in the early days, with the remaining 16 sold throughout the bad years as we finished off the site to the point where it could be taken over by the residents and the Local Authority.